YouTube Red is definitely a thing now, and it’s ordered its first awards-season movie. Vulture Club — starring Susan Sarandon, Edie Falco, Matt Bomer, and not any staffers of this website — has just completed principal photography, according to a release. 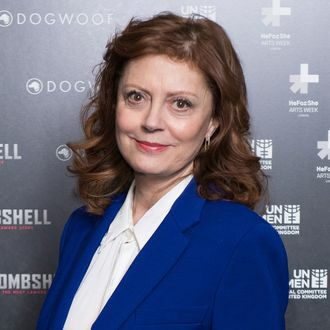 The movie tells the story of Helen (Sarandon), “a veteran emergency room nurse who secretly struggles to free her grown son, a journalist, from capture by a terrorist group.” Bomer and Falco play her comrades-in-arms as she finds help in unexpected places: Bomer is another young journalist, and Falco is a mother of a journalist. Vulture Club is directed by Maryam Keshavarz, and produced by Anna Gerb, Neal Dodson, and J.C. Chandor, the team behind Chandor’s films Margin Call, All Is Lost, and A Most Violent Year. YouTube Red is planning a theatrical release for Vulture Club, along with a streaming debut.